MJ, owner of a company in Plovdiv: "Initially, the company's employees did not perceive the installation of the devices well. The service was taken as a sign of distrust of themselves. At that time, the cases of fuel theft was not much, but the fact that, though rarely, they were worrying. My other observation was the fact that drivers did not have the incentive to economically drive and keep company cars. It is well-known that, regardless of the type of car, the way of driving also affects fuel consumption. Providing a company car with appropriate fuel costs does not predispose employees to save money. Since I've put GPS trackers and used tracking and tracking services, I'm aware of the current cost of each car at every course and at all times. In the beginning, employees thought the service was intended only for the purpose of monitoring and heightening the atmosphere in the company. After the first bonuses that were the result of fuel economy, however, not only me and my employees look at the service positively. " IG, owner of a company in Sofia: "At the foundation of my company I started with two tanks. We had two drivers and all the routes and transport costs were described in a notebook that was enough for accountability. Fortunately, our company currently has 21 trolleys, traveling daily for hundreds of kilometers. Accountability was becoming more and more difficult. Our team has grown and opened a position for a person who only deals with driver schedules and costs. However, this was not enough. With our colleague on this position, we commented on various options to ease the job. 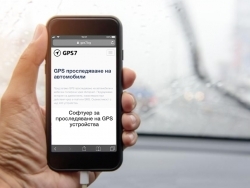 Then, in front of the option to hire another person, our company chose to make a contract for using GPS services. The tracers were already popular on the market. Professionals in our field have shown how the software works and what would be the benefits of introducing the services in our company. We are now aware of the location of our cars at all times. Reports and roadmaps are generated automatically, and before me, as a manager, there is no longer any concern in my agenda that I will face management difficulties with the expansion of my fleet. " Just two of the many evidence that GPS tracking of the company fleet saved money. And time. And the efforts of employees who at the same time can be more productive in something else related to their direct work. Two of the many evidence that investing in high technology is not just a trend follower, but a foresight in entrepreneurship.